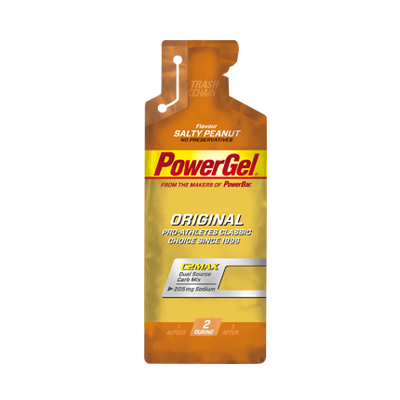 Pro athlete’s choice since 1996, now without preservatives! With the special C2MAX Dual Source Carb Mix, containing a scientifically developed 2:1 ratio of glucose and fructose sources, POWERGEL ORIGINAL provides you with easy digestible carbohydrates combined with sodium. 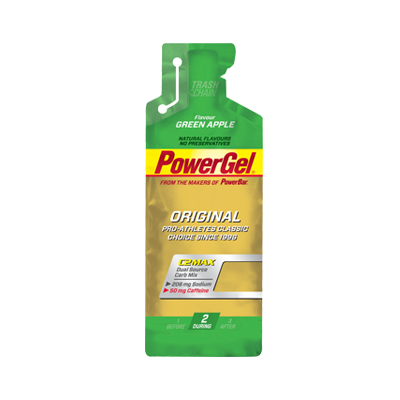 Along with a new thinner and easier-to-swallow texture the refined formula of POWERGEL is now better tasting than ever, vegan, free of 14 major allergens and preservatives. 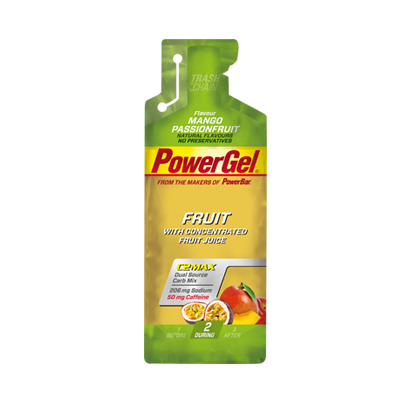 Maltodextrin, water, fructose, sodium chloride, acid (lactic acid), sodium citrate, natural flavourings. 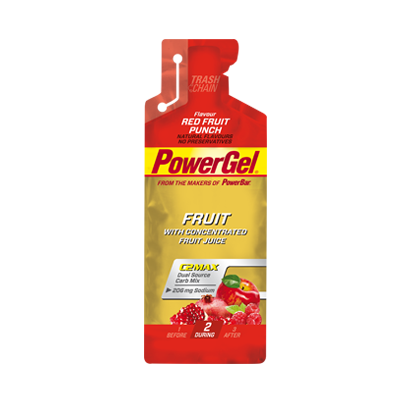 Consume 1 pouch every 20 – 45 minutes during exercise with water.